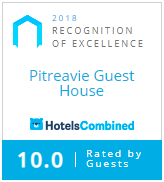 The Pitreavie Guest House offers a full range of facilities to make your stay even more enjoyable. 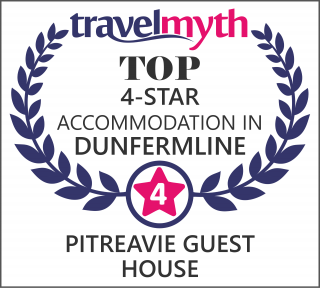 Our Bed & Breakfast accommodation is ideally located in to act as a base for people exploring the Kingdom of Fife. Please note that there is a NO SMOKING policy in operation within the guest house but all of our guests have access to our wonderful garden where you can enjoy a cup of coffee or a cigarette in pleasant and peaceful surroundings.You may also want to get a picture taken beside our Stag mascot. Television with Freeview in all rooms. Iron and ironing boards in all rooms.